Excellent joinery, precision sanding, almost invisible staggered finger joints, the highest quality fleece backing…it all adds up to the finest edgebanding in the industry—edgebanding that can promise uniform thickness, consistent color, grain match, strength, and flexibility, roll after roll. The perfect choice for soft forming or straightline applications. Standard width is 7/8″ and coil size is 328 feet. 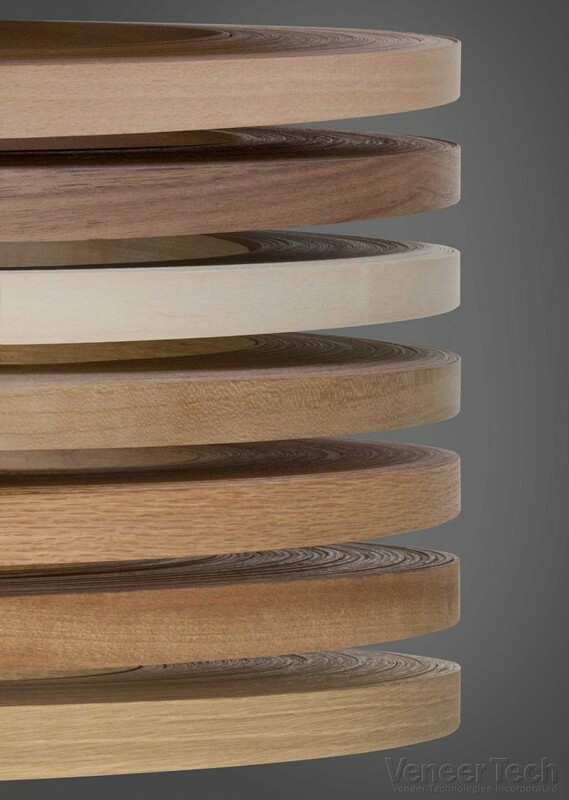 Stock species are red oak, maple, birch, mahogany, cherry, walnut, white oak, alder and beech including thicknesses of 1.5mm (3-ply 1/16″) and 3.00mm (6-ply 1/8″). Custom species, as well as thicknesses of 1.0mm (2-ply 1/25″) and 2.0mm (4-ply 1/12″), are also available. Tech-Edge is available in top quality Melamine edgebanding. With superb color fastness and opacity, Tech-Edge Melamine is suitable for a wide variety of applications.